Here i am sharing success story of one of our alumni Nitisha Tyagi. Now she is working in AnovIP in DELHI. He did M.Sc in Biotechnology from South Asian University. Participated in the First South Asian Biotechnology Conference 2015 held from Feb 12-15 and presented a Poster at Faculty of Life Sciences and Biotechnology, South Asian University, Akbar Bhawan, Chankyapuri, New Delhi, India. Participated in Annual festival of Life Science Society at Zhdc and certified with a volunteer certificate. Awarded Second Prize in Rangoli Competition held on 24th March by Life Science Society at Zhdc. Successfully completed the “Training in Self-Defence Techniques” held from 09/02/2011 to 28/02/2011 conducted Conducted by Self-Defence Training Unit, Delhi Police at Zhdc, J.N Marg, New Delhi.SHe joined Job oriented Patent Analyst Training Program in IIPTA. 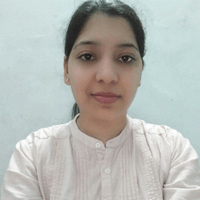 Today she is successfully placed in AnovIP ,world’s leading IP Firm on the post of Patent Analyst with very good salary package and she is performing well at her job. Nitisha gives most of the credit of her success to his parents and IIPTA team who always remained very supportive. Her dream is to fulfill her parents expectations. Here’s wishing her all the very best for her future endeavors.